Ten taxing jurisdictions expect to see a sizeable increase in revenue this year as Amazon adds them to the list of states where they will collect sales tax. Since the dawn of online shopping behemoths in the late 90’s, taxing authorities have seen potential tax revenue slip through their fingers as an increasing number of sales have shifted from traditional brick and mortar vendors to sites like Amazon.com. While many states have historically been slow in updating their tax laws, the period of tax free online shopping is at the beginning of the end. These ten new additions bring Amazon’s list of states where they charge sales tax to a total of 41 (out of the 45 that collect sales tax). The new states include Iowa, Louisiana, Mississippi, Missouri, Nebraska, Rhode Island, South Dakota, Utah, Vermont, and Wyoming. The full list of states where Amazon collects sales tax can be found on their website. Over the past six years Amazon has added 36 taxing jurisdictions (including the District of Columbia) to its list of states where it collects sales tax, all of which have been voluntary decisions. However, despite the lack of coercion in these changes, they have not been absent of motivation from the state. In the case of Mississippi, Amazon’s agreement to begin collecting sales tax comes with the assurance that the state will not conduct the three year sales and use tax audit that was being considered. The fact that online retailers have failed to or have not been required to collect sales tax on online sales does not mean that those sales are indeed tax exempt. Use tax still applies in certain states, leaving the burden of tax remittance to the consumer. Oklahoma was one such state until the signing of the Oklahoma Retail Protection Act of 2016, which now puts the burden on the retailer. Many consider these changes to be victories not only for the additional ten state governments but also for the brick and mortar businesses that were previously at a disadvantage. This shift in sales tax collection is seen as a step towards a more equal playing field for these industries. 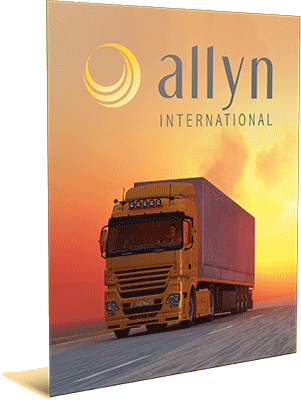 For more information on the changes in the taxability of online purchases please contact tax@allynintl.com. Stay current with your state, county, and city legislation. If your business has online sales or purchases in any of the 41 states where Amazon collects sales tax, it is likely your company is legally obligated to collect sales tax or remit use tax as well. Conduct a thorough review of both these aspects of your business to ensure tax compliance and reduce audit exposure. Traditional definitions of taxability are changing in the digital era and businesses must remain alert to state tax laws to ensure they are in good standing with the appropriate authorities.